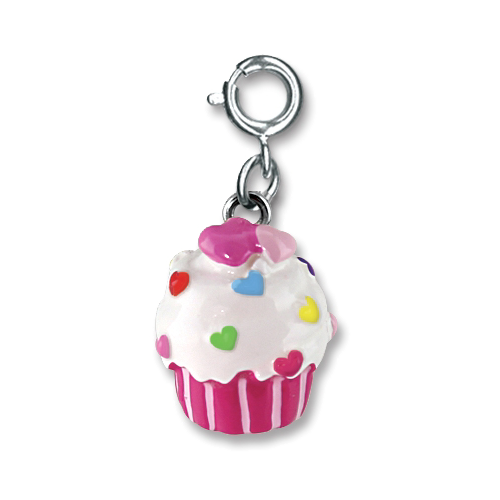 Add a splash of cupcake goodness to your charm bracelet with this colorful CHARM IT! Heart Cupcake charm. 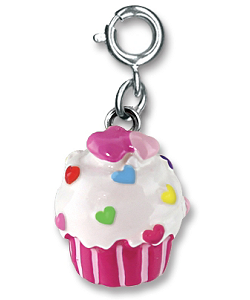 With a delicious-looking cupcake with white icing, colorful heart confetti, and a pink wrapper, this delightful Heart Cupcake charm is 3-dimensional fun for your charm bracelet. With a simple snap of a clasp, you can personalize your CHARM IT! jewelry with this yummy CHARM IT! Heart Cupcake charm.